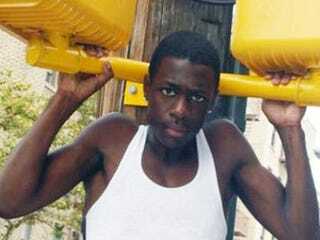 Two New York City police officers may face criminal charges after they killed an unarmed 18-year-old black teenager, according to the New York Post. The controversial shooting, which has attracted the attention of the Rev. Al Sharpton and legendary singer Roberta Flack, occurred Thursday when two police officers saw Ramarley Graham and a friend make a drug deal on a Bronx street. The cops chased Graham, who they suspected of having a gun, into his apartment, where he was trying to flush drugs down the toilet. According to NYPD Commissioner Raymond Kelly, the officers yelled, "Show me your hands! Show me your hands! Gun! Gun!" A cop, who was white, then shot Graham, who was pronounced dead a short time later. No gun was found at the scene. Graham's brother, Delmar Scott, told the New York Post that cops don't follow their own rules and regulations. "They think the badge they carry on their chest gives them the right to kill," Scott said, adding that Graham "don't carry no weapons." Officer Richard Haste, who fired the fatal bullet, and Sgt. Scott Morris were both placed on modified duty for the duration of the investigation. The Rev. Al Sharpton raised funds for the funeral, and singer Roberta Flack donated $500, according to the Daily News. Many defenders of the police will say that this young man was a criminal selling drugs. By all accounts, that is accurate. But criminals aren't supposed to be executed by police in this country, unless they pose an immediate threat to those officers; they are arrested and go on to face a jury trial. This young teenager made choices that should have landed him in a jail — not a box. We hope this family finds some semblance of justice in this tragic case.